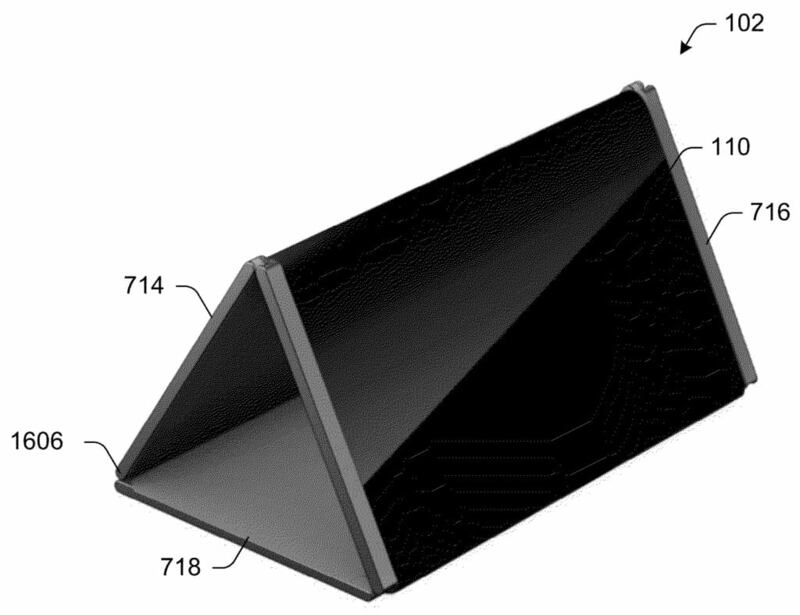 Home / News / Microsoft patents a foldable phone; could this be the ultimate mobile device? Microsoft patents a foldable phone; could this be the ultimate mobile device? A patent has emerged from the depths of Microsoft’s research program; it describes a device that’s held together with hinges, allowing it to switch forms between a phone and a tablet. If this patent ever becomes a product, it would be the first of its kind. The patent is for a “mobile computing device [with] a flexible hinge structure,” you can check out the complete patent over here. The patent describes three unique “usage scenarios,” each as an entirely different form. Tablet: The tablet configuration requires that “each of the housings are ‘laid flat’ such that an entirety of the display device is viewable,” which makes the most sense. The other forms are where it becomes interesting. This is an interesting idea, but one that might not work in the practical world; hinges are, in the end, fragile. Of course, there is no guarantee that this patent would lead to an actual product – far from it – but it does show us one of the possibilities. The device – if practical – could also, in fact, be powered by Windows 10, rather than Windows 10 Mobile. The mobile operating system has been a colossal failure despite its innovations; any more time and money invested in it would simply not be worth the returns. Windows 10, on the other hand, is a complete OS. Once the ability to run an x86 app on the ARM chip becomes stable enough; this hypothetical device could indeed be the ultimate mobile device. The coming year is going to be an interesting one; we have but one question: Microsoft, Quo Vadis?